Journey Interrupted — five individuals share their personal stories of struggle with sexual identity. The documentary addresses two key questions; What does the Bible say about gender identity and homosexuality and how should Christians respond to these divisive issues? These questions are explored with candor and sensitivity through the lens of personal testimony. This important film is refreshingly transparent, deeply honest as it offers hope for healing and wholeness through Jesus Christ. Optional English and Spanish subtitles. 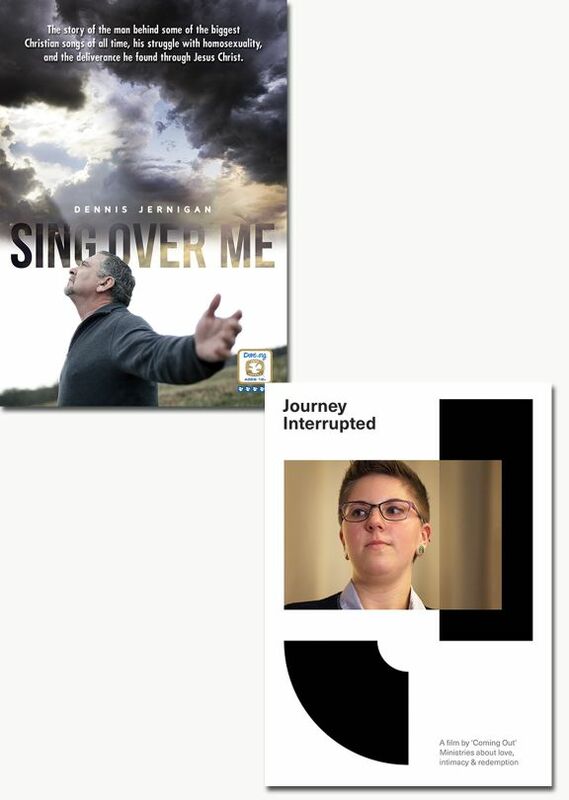 ﻿Sing Over Me — Since the early 1990s, Christians all over the world have been singing the songs of modern-day psalmist Dennis Jernigan, including “You Are My All in All,” “Thank You, Lord!” and “When I Fell in Love with You.” His music and ministry, sparked by his lifelong struggle with homosexuality and the healing that came through his relationship with Jesus Christ, have led him on a remarkable journey of redemption. Now he shares his inspiring story so that all may have a deeper understanding of God’s love. This is a film about hope, identity, and the transformative power of the Gospel. By telling his story, Jernigan puts forth an example of what God can do in the lives of those who put their trust in Him. Widescreen. Optional English and Spanish Subtitles.